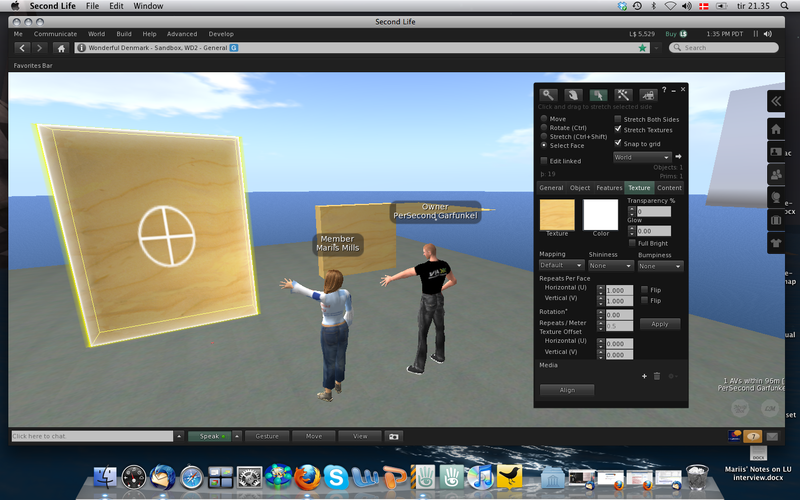 Yesterday my master student, PerSecond and I continued our test of Shared Media in the new SL viewer. When we first tried it out last week, we didn’t have much success, but my ever so helpful landlord, Doctor Asp had some ideas, and so I started off by testing it with him on my holodeck. Later in the evening I met with PerSecond for our weekly session and asked him to set up a prim in his private home – not in his LL home, where nosy neighbours might disturb (none of us have yet found the time to check out privacy and security settings in our LL homes). We succeeded in setting up both Google docs and EtherPad, writing in them real time (and seeing it without having to reload! ), but ended up most satisfied with the EtherPad doc that loaded much quicker on our machines. PerSecond works in Windows, so we get to test both platforms. 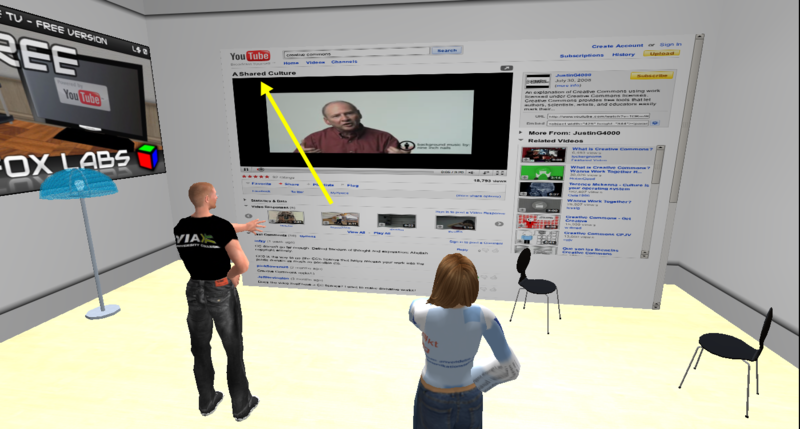 We continued testing some YouTube videos while trying to figure out what to do about security settings and discussing the most appropriate use in a teaching and learning situation. Since the docs we tested were completely public our next step was to test security settings to see if in any way we could control access and interaction, and so we went to a sandbox, where both of us had building rights and set up new prims. 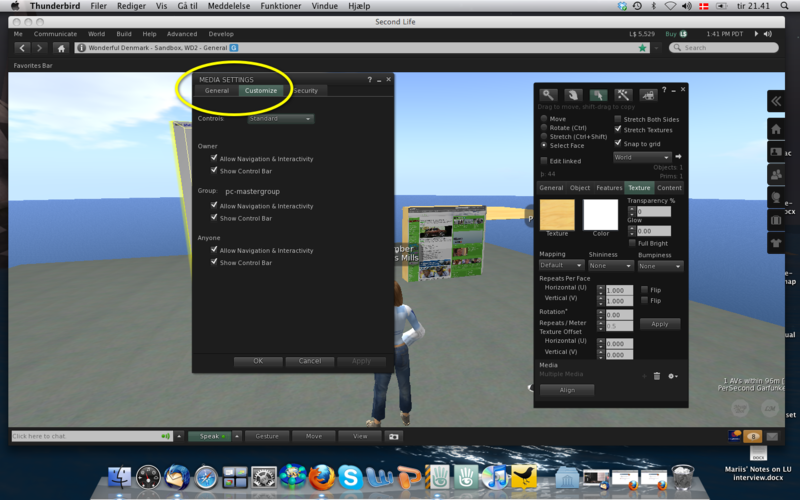 Under Customize in the Media Settings it is possible to change control of the prim, and we tried out several settings thinking it would be possible to limit control to our group. In this phase of the testing we needed to bring in our alts; Placebo and Memo, who were not members of our group, and so we logged in and out several times trying out different combinations.